Reef Encounter is a fully air conditioned 35 meter catamaran hotel, designed for the upmost stability and comfort at sea and can carry up to 42 passengers onboard. The liveaboard vessel boasts spacious cabin suites, a large dining saloon, TV and lounge area and a huge sundeck. The vessel has its very own outdoor hot tub and fully licensed bar onboard, providing all the luxury of a boutique hotel while visiting the most captivatingly beautiful areas of this natural wonder – The Great Barrier Reef. Reef Encounter’s 2 day 1 Night dive and snorkel tour includes a total of 6 dives (5 day & 1 night) at beautiful Outer Great Barrier Reef locations, unlimited snorkelling, 1 night accommodation on board, full gear hire (excluding wetsuit), glass bottom boat tour and chef prepared meals onboard. The cabins onboard include double (1 x double bed) or twin (2 x single beds). All cabins have their own private ensuite bathrooms. Their liveaboard vessel is permanently moored on the outer reef. Transfers to and from Reef Encounter are provided by its sister vessel, M.V. Reef Experience, a high-speed air-conditioned catamaran departing daily from Cairns Marlin Jetty Marina. Reef taxes and levies are an additional AU$15 per person per day which are payable direct onboard. Return accommodation transfers are an additional AU$12 per person from Cairns City and AU$22 per person from Outer city and Northern Beaches. 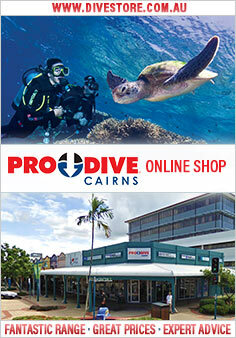 You are highly advised to pre book your trip as availability may be limited if you wait until your arrival to Cairns.